This elaborate 'sin', or ceremonial skirt cloth, is one of the finest textiles worn by the Tai Nuea women of northern Laos. 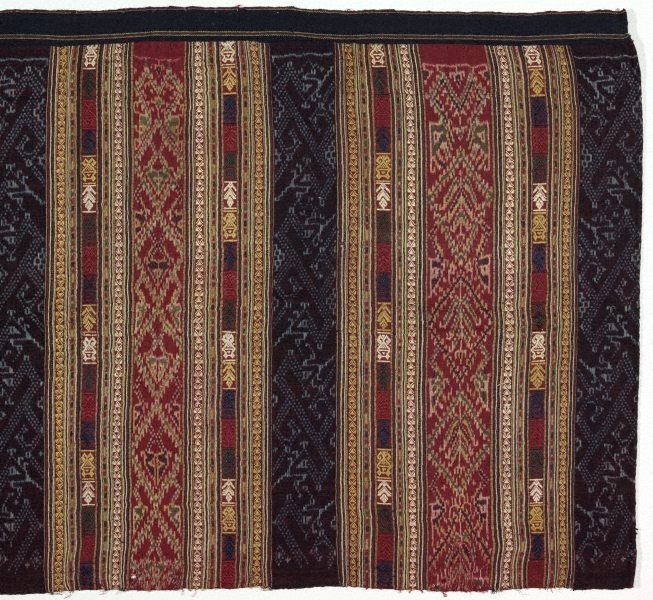 Such ceremonial skirt cloths, with their abstracted patterns based on mythical serpents, house structures and the funeral tree are used by shamans.Women also weave such textiles to give to their daughters-in-law, who then wear the skirts to the weaver’s funeral and are dressed in them for their own burials. 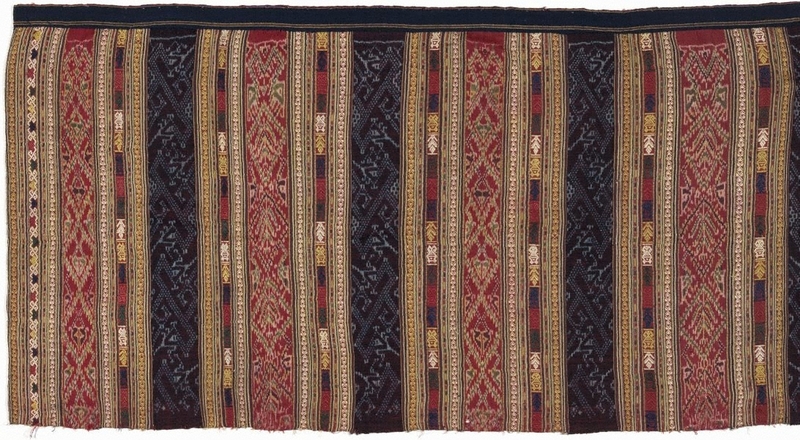 These skirt cloths are usually composed of three sections made of alternating bands of red silk with supplementary weft decoration however this example lacks the upper portion. 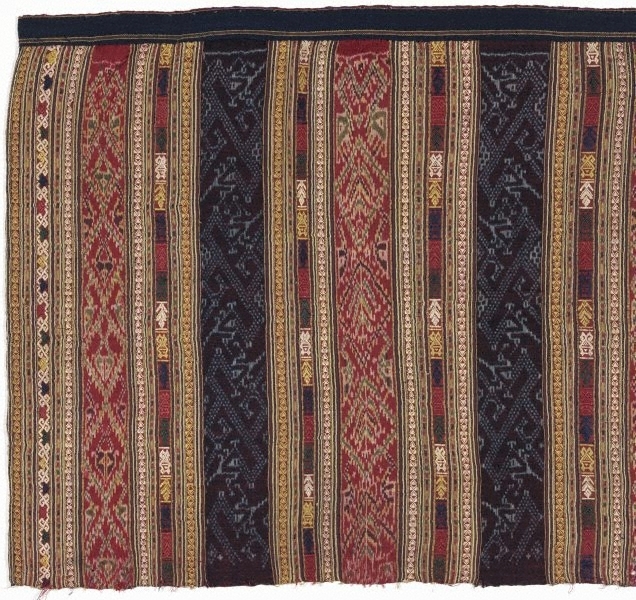 Typically these cloths are indigo-dyed cotton weft ikat and red-dyed silk weft ikat. The sections of indigo-dyed cotton refer to an archaic tradition where hand-spun cotton was used to best bring out the vibrant colour of the dye. This intricately woven and dyed cloth is decorated with the traditional 'naga', or ''nak'(serpent/dragon), motif in both the indigo and red silk panel, a tree of life motif is also visible in the red silk panel. The Asian Collections Art Gallery of New South Wales , 'Laos', Sydney, 2003, 307 (colour illus. ).